CruiseDirect utilizes the latest technology to make planning your cruise vacation hassle free. Customers receive an easy booking process, flexible payment plans, no booking fees, low price assurance and more. They only sell cruise booking so their expert team is able to answer any questions you have about the cruise experience. Their average order value is $2,200. CruiseDirect has partnered with Commission Junction to manage their affiliate program. Affiliates have access to new banner ads, text ads, tracking tools and weekly newsletters. Soon affiliates will have access to their extensive data feed and personalized landing pages for top performing affiliates. Last Minute Travel offers travel deals for bargain shoppers with thousands of deals on vacation packages, cruises, flights, hotels, and more. They work with 10 different cruise lines to provide the best deals online. Their cruise deals include discounted rates, shore excursions, upgrades, beverage packages, and more. Their average sale is $360. Last Minute Travel uses ShareASale to run their affiliate program. They provide everything you need to start promoting their services right away including marketing materials like banner ads and text links along with tracking tools. Affiliates can promote their great cruise deals along with flights and hotels to get their viewers to their cruise ships. Orbitz is one of the top online travel sites in the US. They have everything from hotels, flights, cruises, car rentals, travel insurance and more. Customers save money on their cruises by booking early and they receive free upgrades like open bar, shore excursions and more. They use Commission Junction to manage their affiliate program. Orbitz provides their affiliates with a wide variety of banner ads, text links, and reporting tools. Affiliates also receive frequent newsletters and promotions to help them increase conversion rates. Affiliates can also earn 2-3% on hotels, 4% on packages, $3 on car rentals, and more. Be sure to check out their program terms for more information. Beach Tours Mexico was created to provide cruise passengers and beach tourists with the best selection of tours, excursions, watersports, and activities at the lowest possible prices. They offer tours and activities in Cancun, Cozumel, Playa del Carmen and Puerto Vallarta. Customers can save up to 60% on the cruise prices for the exact same activities. They use ShareASale to run their affiliate program. Beach Tours Mexico provides a great selection of creatives and reporting tools to track sales and commissions. Affiliates can market their services to cruise customers and people looking for activities on their beach vacations. This is a great affiliate program to promote as an add on to your viewers' cruise vacation experience. Expedia is the #1 online travel agency that reaches more than 75 countries with 35 languages. They offer world class inventory, great deals on travel, and a best match guarantee. You can find great discounts and deals for the world's top cruise lines even on last minute trips. Affiliates can sign up for the Expedia affiliate program with Commission Junction. Expedia provides creatives, widgets, their product catalog, and tracking tools. Affiliates also receive a weekly newsletter with new deals and seasonal offers. Why Should You Promote Expedia: #1 online travel agency, price match guarantee, lots of affiliate tools. Affiliates can also earn commissions on their other travel services like $2.25 on flights, 6% on merchant hotels, 2% on car rentals, and more. CheapTickets was founded in 1989 and is owned by Expedia, Inc. They offer discounted travel rates on hotels, flights, car rentals, cruises, and more. Customers can check out their top cruise deals and save on packages. Plus they can earn free upgrades. Their affiliate program is powered by Commission Junction. CheapTickets provides a great selection of banner ads and text links with access to inventory of over 150,000 hotel properties, car rental companies, cruise links, valuable promotions, and more. Affiliates also can use their data feeds, storefronts, and affiliate tools. CheapTickets also offers other commission rates based on category. Be sure to check out their program terms to learn more. Intrepid Travel is the world's biggest provider of adventure travel packages. They cater to all ages and budgets. They offer all types of themes from adventure cruising, cycling, expeditions, festivals, sailing, and more. Their average order value is $3000 with high conversion rates. Intrepid Travel uses Commission Junction to manage their affiliate program. They provide their affiliates with everything they need to start promoting their travel adventure experiences. Affiliates can also promote PeregineAdventures.com for the more discerning and mature traveler. Original Resorts offers world class destinations and unique resort experiences. They offer adults only resorts and cruises as well as family friendly hotels. They offer deluxe all-inclusive experiences along with nightclubs and party rooms for couples. They use Commission Junction to power their affiliate program. Original Resorts provides their affiliates with creatives, promo codes, and tracking tools to monitor their sales and commissions. They also run frequent sales to increase conversion rates. It's important to note, their adults only resorts and cruises are clothing optional. So affiliates will have to target a specific type of traveler. BookingBuddy helps people save time and money on vacations, cruises, flights, hotels, and more. Their tools let you compare rates from all the major travel sites so you can find the lowest prices. You can save up to 75% off on your next cruise. Affiliates can sign up with Commission Junction. BookingBuddy provides their affiliates with dynamic banners, text links, and affiliate tools in their dashboard. Their team of experienced marketers are available to offer suggestions and help you succeed. Affiliates can promote that BookingBuddy is owned by TripAdvisor, a trusted source for travel information. CheapCaribbean is one of the top websites for discount vacations and hotels to the Caribbean and Mexico. Their customers have access to some of the best inventory available including sold-out dates and holidays. Some of the perks of booking cruises with them include up to 75% off fares, exclusive offers, and a 110% best price guarantee. Their average order size is $2,154. The CheapCaribbean affiliate program is powered by Commission Junction. Affiliates have access to a great selection of creatives, coupons, and marketing tools. CheapCaribbean provides their affiliates with frequent coupons and promotional codes to help boost their sales. Now that you've read about 10 great cruise affiliate programs, it's time to choose a niche to target. You could focus on last minute cruises. Last Minute Travel offers thousands of travel deals including cruise packages. Affiliates earn 3% commissions on all sales. Another niche idea is adventure cruises. Intrepid Travel offers all types of adventure travel experiences for all ages and budgets. They offer their affiliates a 4% commission rate. 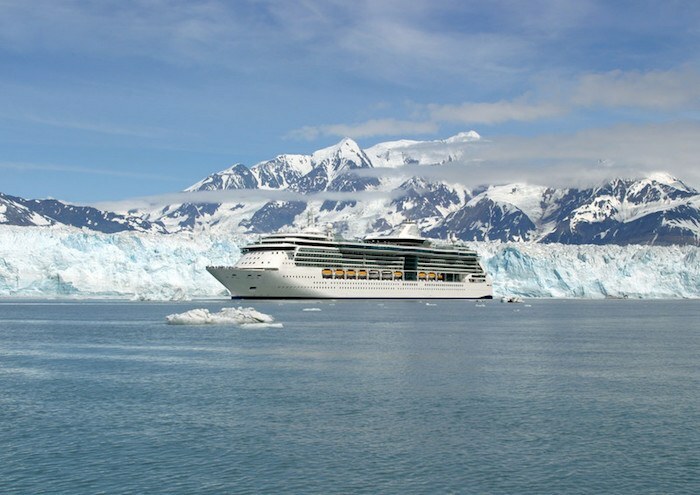 You could also target destination cruises. CruiseDirect has a special section just for destination cruises to help you decide where you want to go. Affiliates earn 3% commission on all sales.